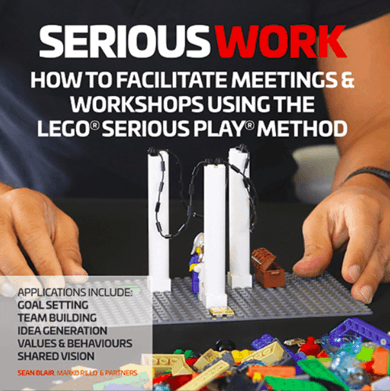 LEGO Serious Play is a perfect way to help individuals, teams and organisations get a clear view of their current situation, their aspirations and goals, and the way to get there. 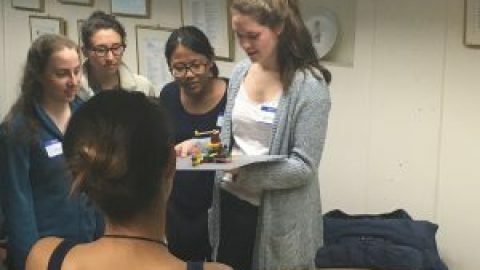 LEGO Serious Play is based on the ideas of Seymour Papert, which built in turn on the Constructivist theories of his colleague Jean Piaget. Papert argued that learning happens exceptionally well when people are engaged in constructing a product, something external to themselves such as a sand castle, a machine, a computer program or a book. This is named “constructionism”. Play is unique because it produces benefits that span multiple functional domains including: physical, emotional, mental, and social. Play is defined as a limited, structured and voluntary activity that involves the imaginary. It’s an activity limited in time and space, often structured by rules, conventions or agreements among the players, uncoerced by authority figures, and drawing on elements of fantasy and creative imagination. Throughout history, the term “imagination” has been given many different cultural and linguistic connotations. 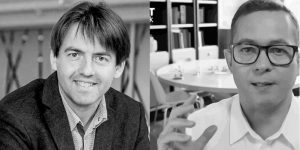 While all share the basic idea that humans have a unique ability to “form images” or to “imagine” something, the variety of uses of the term “imagination” implies not one, but at least three meanings: to describe something, to create something, to challenge something. 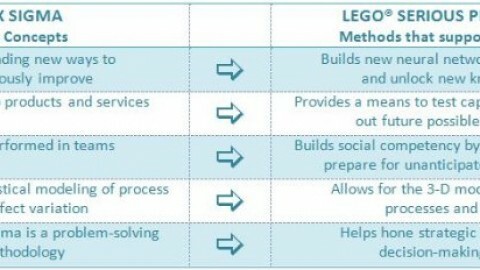 From the point of view of LEGO Serious Play, it is the interplay between these three kinds of imagination that make up strategic imagination – the source of original strategies in companies. Is this familiar? A manager has a meeting with his team of 10 people. He has a problem and asks the team for possible solutions. The first person (“Mr Loud”) brings up an idea. The second person (“Mrs MBA”) adds or adjusts that idea. The third person (“Mr Popular”) fills in the last details of the idea. “Do we all agree?” asks the manager. Everybody nodds. The tenth person (“Mr I need some time to think things through”) also has a great idea, possibly the perfect solution for the problem, but by now, he doesn’t dare to say it anymore, because it’s completely different from the idea, everybody just agreed on. 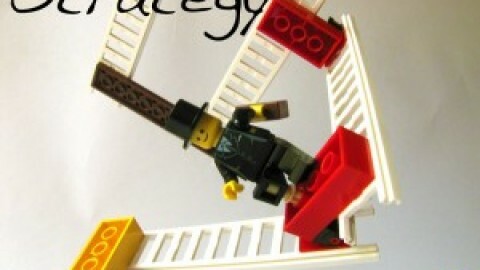 With LEGO Serious Play the manager will get access to all ideas in the group. 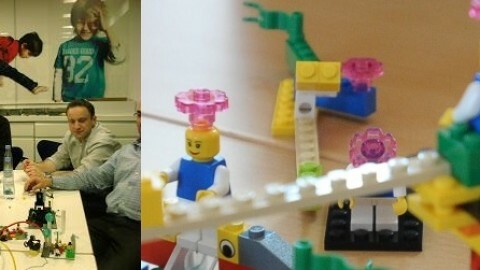 LEGO Serious Play is a method, which creates real time strategies for individuals, teams and organisations. Napoleon used to test his battle strategies with tin soldiers, with LEGO Serious Play we do exactly the same; not only will you find a lot of answers to a question, you will be able to test all your possibilities. 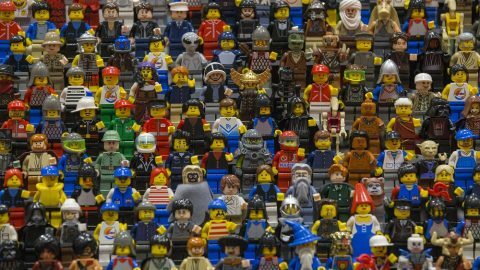 People start by building 3D models with LEGO bricks about different identities. Each individual builds his own model and everbody builds! In real time strategy for individuals, a participant visualises his own identity and aspirations. He shares his story with others, who challenge the model and ask questions. This leads to a very interesting discussion, where the different insights of other participants are always very usefull for the participant, especially when he wants to grow personally and professionally. 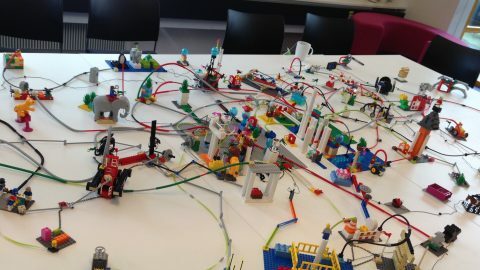 People who work together in a (new) team can build a 3D model with LEGO bricks for a realtime strategy for teams: after they have build the current identity of the team, a 3D model about the aspirations of the team is build. Through ‘landscaping’ different agents – which have impact on the identity of aspirations – are visualised, also in 3D models. By ‘hard or soft’ connecting the different agents to the identity and aspirations models, everyone gets a very clear view of the road, the opportunities, the impediments, the risks … to achieve their goals. Strategies can be “played”, before they are implemented. 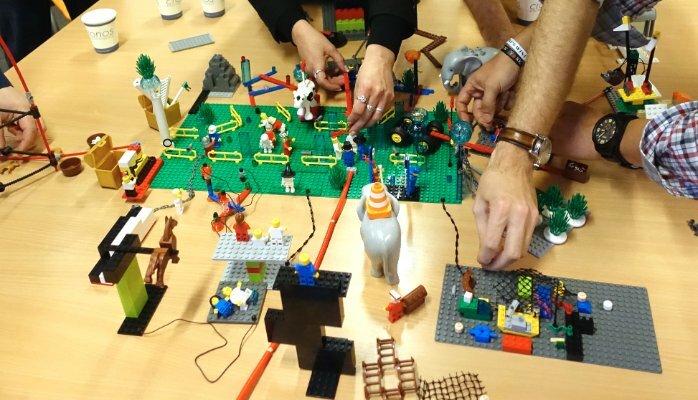 When business use the LEGO Serious Play method to visualise their ideas about business development, new services or products, organisational change, new markets … they create a safe environment to test different strategies. You can plan as much as you want, only when you start to execute your plan, you discover flaws and errors. LEGO Serious Play allows you to plan-do your future projects. 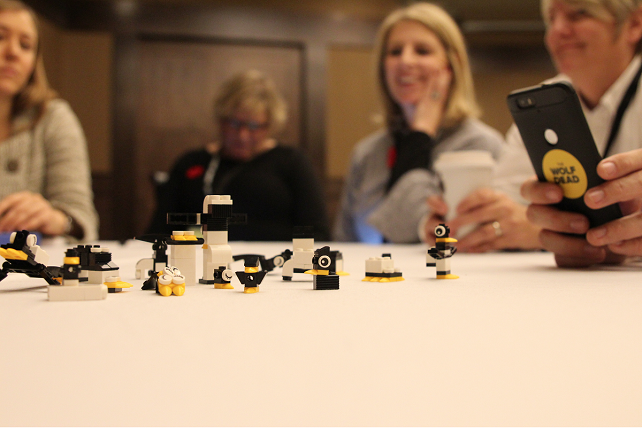 LEGO Serious Play is often used in meetings and workshops, where complex topics such as personal, team or business development of change projects are discussed, and where decisions have to be made, which need to be supported by everyone who participates. LEGO Serious Play makes sure that everyone is 100% involved, without experiencing any kind of stress.